The world is changing faster than ever. While change might offer lots of new opportunities for some of us, others are being left behind. Obviously, the world we live in has always been and is a world where inequality is real, however the inequality of wealth and income has become more and more of an issue. The dangers are fueled by inappropriate habits of some of the wealthy and their failure to recognize that Instagram and Facebook photos of their constant holidays are now enhancing the ability of populist politicians to exploit inequality as a means of gaining power. Having abused bank secrecy to help individuals avoid paying their legally due taxes, the wealth management industry now faces decades of over-reaction: intrusive exchange of information rules, loss of privacy, populist governments attacking the wealthy and more. Swiss bank leaks, the Panama Papers and other events have not helped to create the right atmosphere for discussion and progress. In this environment, it is important for wealth and business owning families to evaluate their political risk exposure. Wealth owners might be affected by it in many ways and the manifestations of these risks will vary widely. For some, political risk relates to the country of their residence or citizenship. For others, it relates to the location in which their ownership structures, such as trusts, foundations, companies, etc. are located. And of course, the location of investments is also a source of political risk. But what actually is a political risk and how do I as a wealth owner protect myself and my family? Historically, typical Chinese business owning families not only built their businesses, but took responsibility for their workers. They built homes, hospitals, schools and provided cradle to grave care for those who helped them build their wealth and legacies. As we moved to reliance on governments to address social needs, there has been increasing irresponsibility on the part of business and wealth owners, often fueled by their advisors “selling” the luxury of now defunct tax based bank secrecy. There are many risks that the term political risk covers, but the expropriation of assets in one form or another is a key risk to be addressed. Under international law it is accepted that a country has the sovereign right to expropriate assets within its borders – and where assets are owned by local nationals, there are no international law protections ensuring compensation or otherwise. If a wealth owner lives in a country where the risk of asset expropriation is there to at least some extent, consideration might be given to a number of steps being taken. And expropriation in a formal way is not the only risk a wealth owner faces – corruption, miss-use of the tax system and other issues also arise, and need to be considered. Political risk also needs to be considered and planned for when deciding where to establish a trust, foundation, partnership, investment or holding company or other vehicle. And of course, with investments being made in a variety of markets, including emerging economies where political risk may be higher, consideration of steps that can reduce exposure to political risk are important to take into account. There is also political risk associated with the actions of other countries – such as occurs when the U.S. or other countries initiate freezing or vesting orders against assets belonging to companies and individuals connected to “enemy” countries. These sanctions can and have affected wealth owners from a variety of countries and increasingly sophisticated approaches to protecting wealth and assets need to be considered in light of the increasing transparency of asset and wealth ownership arising from, among others, enhanced enforcement of tax laws and the increase of access to beneficial ownership information, including through automatic information exchange, anti-money laundering rules, public registers of beneficial ownership and otherwise. "The expropriation of assets in one form or another is a key risk to be addressed." Make sure that the holding company within a group is located outside the risk country. If there is a holding company in the country the wealth owner lives in and there is an expropriating order, key is to ensure that only home country assets are at risk – not assets that are overseas. If subsidiaries and affiliates are owned by a home country holding vehicle, the entire structure is at risk. Interesting to note that many wealth owning families in Hong Kong in the run up to the 1997 return of Hong Kong to China took advantage of this type of planning. The corporate world also did this – an example would be the Hong Kong and Shanghai Banking Corporation which undertook a corporate inversion and changed its name to HSBC – moving from being a Hong Kong based group with a Hong Kong holding company owning its assets and subsidiaries outside of Hong Kong to a UK company owning assets and subsidiaries that include operations in Hong Kong. While other reasons for this inversion than political risk can be put forward, the protection from the possibility of expropriation of non-Hong Kong assets by China was clearly an objective, as it was for many other Hong Kong based groups at the time. Alternate or replacement citizenships and places of domicile are also part of political risk planning. For the time being (and likely not something that will last forever), wealth owners have many citizenship and residence options, and these play an important role in political risk planning. But for some of the families I work with in the Middle East, an issue is that ownership of local assets requires local citizenship; and dual citizenship may well be prohibited (Saudi Arabia being an example of this). Here, considering having different family members hold different citizenships can be part of effective political risk planning. Consider leveraging home country assets, and moving liquidity outside of the country at risk. In the event of an expropriation of assets, the value of the assets in the home country are reduced by the debt, the proceeds of which are protected elsewhere in the ownership structure. In circumstances of high political risk, however, this may be difficult to achieve in practice, as banks may be unwilling to take on the political risk, insisting on personal guarantees of debt. As with planning in other areas, the best political risk minimization planning is planning that is undertaken very early. Considering carefully how assets in the home country are owned can be important. Rather than having a wealth owner own the assets directly, it may be useful to interpose a holding company established in a country that can benefit from investment protection agreements and possibly political risk insurance – and both might not be available were the assets involved are in the direct ownership of a national from the country involved. Investment protection agreements are often a neglected element of planning – if I use a British Virgin Islands company to invest in China, there is no tax in the British Virgin Islands, but also no investment protection agreement between the British Virgin Islands and China. If I use a Singapore company to invest in China, I not only benefit from the tax treaty between China and Singapore, but also the investment protection agreement between the two countries. And if I do not remit the profits to Singapore, I still enjoy a tax-free approach in Singapore, allowing equivalent tax benefits to those enjoyed by use of a British Virgin Islands company. In political risk planning, it is also important to consider the ability of a country like Singapore to provide protection through enforcement of its investment protection treaty networks…maybe using a U.S. limited liability company, which can also be achieved in a tax-free way, is a better bet given that the U.S. also has investment protection agreements with China and many other countries – and is in a stronger economic and military position to enforce the rights of its investors, which include U.S. entities used by wealth owners undertaking the right kind of political risk minimization planning. 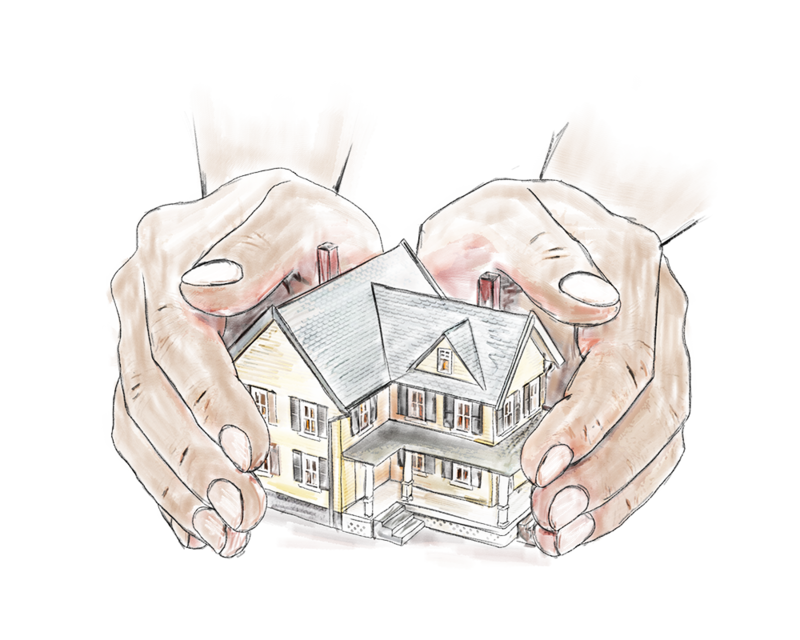 Another part of the toolbox addresses wealth owners living in a country where there are risks associated with nationals or residents of that country being the subject of expropriation or other challenges, using structures that terminate ownership interests in a set of circumstances or which suspend family ownership can be most useful. For example, it is quite common for trusts to have provisions dealing with political risk at the level of the trustee’s jurisdiction – with provisions that allow for an automatic change of trustee in the event of tax laws changing in the country of the trustee, or in the event of an expropriation. Less common is to have similar provisions applying to the discretionary beneficiaries, and useful to consider is to have language that cuts off any beneficial ownership by any beneficiary during a time that the beneficiary is linked to a country that suffers an expropriation or other political risk event. Well-structured insurance arrangements are designed to put the ownership of assets into an insurance company rather than a family member who may be the subject of a political risk event. This separation of ownership can be structured to provide significant political risk minimization benefits and there are a number of insurance companies willing to tailor policies to accommodate these objectives as well as the ownership of business and other assets of wealth owning families. Choosing an insurance company based in a country that has investment protection agreements can be important and is an element of effective planning. It is very interesting to me how much analysis and consideration is given to the investment process, and how little focus is directed to political risk and how to manage it. The world is a risky place, and increasingly so for many reasons. Political risk minimization planning is something every wealth owner needs to consider and monitor on a regular basis. And for many of the families that I work with, all of the approaches above come into the picture when we put an asset ownership, protection and succession plan in place. While I believe that we need to address income and wealth inequality, I do not believe that governments are always the answer, and also do not believe that higher taxes are the answer. I believe that there is much more that needs to be done to create a dialogue between governments, the general population and the business and wealth owning community, something that I am working on with some of the universities I work with. Governments need to understand what wealth and business owners contribute, and the general population needs to trust that governments are not run by the business elite, which they too often are, whether in democracies or otherwise. I do not believe in zero tax on death, as is the case in Hong Kong, where I live. Equally, I do not believe in inheritance taxes of 40% or more as is the case in many countries. I believe in fair and transparent tax systems that are simple to enforce and that discourage money being paid to tax advisors, and which encourage money going to governments that are not corrupt, and who do the right thing with tax revenues. We are a long way from this utopia, but the first step is better dialogue and understanding, and a wealth and business owning community that thinks more about their responsibilities to our world than about their toys. 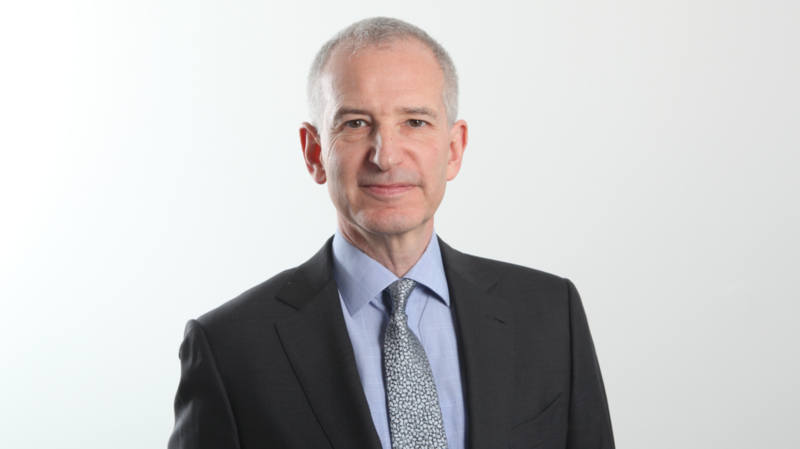 Philip Marcovici (1956) Close to 30 years with international law firm Baker & McKenzie, and one of the founders of the firm’s global Wealth Management and Asian tax practices. Now retired from legal practice, he continues to be an internationally recognized expert in tax compliance and international tax policy, he advises families, companies and governments, and is a frequent lecturer internationally.